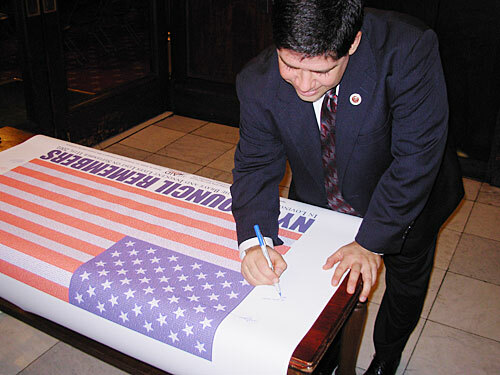 Brooklyn Councilman Vincent J. Gentile signs banner for NYC Council at City Hall. ©ArtAID 2005 Art in Service of Humanity. 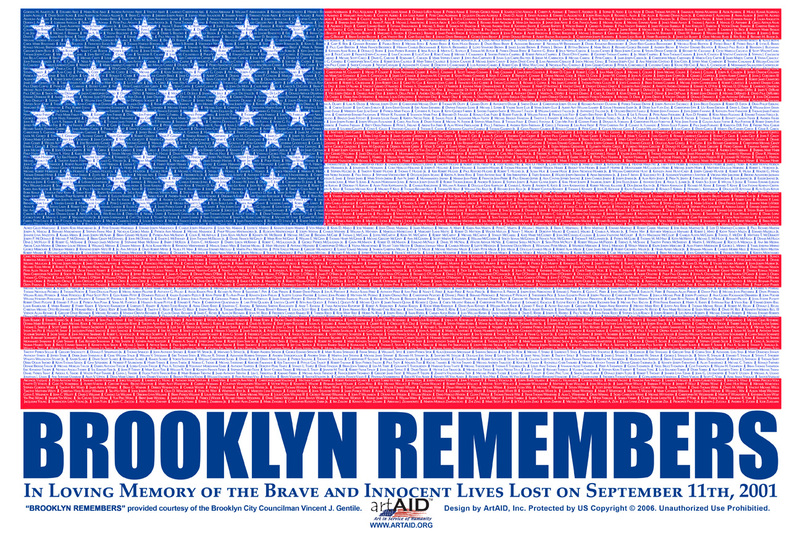 ArtAID is a September 11th Organization. Please support ArtAID now.